Providing you the best range of screw compressor spares, screw compressor spare and suction air filter with effective & timely delivery. 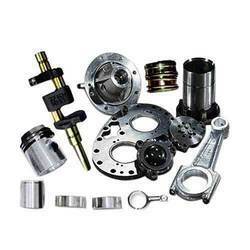 We are a well-known organization that is engaged in manufacturing, supplying and exporting Compressor Spares. Precision-engineered, our replacement spares are available in different thicknesses, lengths and sizes at most competitive prices. Apart from this, our products are delivered at clients’ premises within the stipulated time frame. With our rich industry experience, we manufacture, trade and supply an extensive range of Compressor Spares. 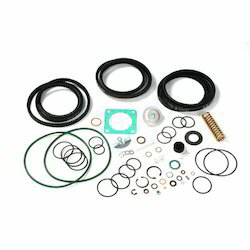 Our offered compressor spares are designed using top-notch quality raw material and innovative technology in adherence to industry standards. Moreover, these compressor spares are available in variegated sizes and specifications as per the needs of our clients. 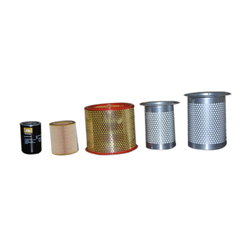 The provided compressor spares are highly praised in the market for their various quality measures like high strength. 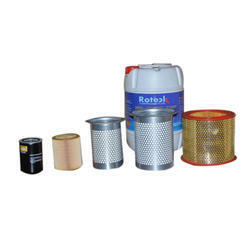 We are offering Suction Air Filter to our clients. We are offering Screw Compressor Spares to our clients.